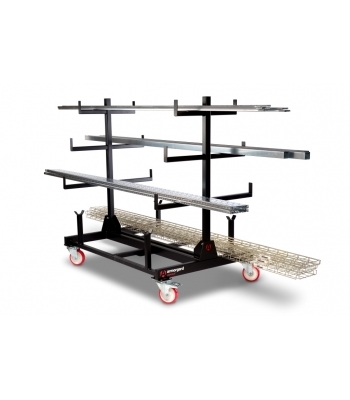 Robust Mobile Pipe Storage Rack, with capacity of 1 Tonne. Designed to keep pipes organised, accessable and safe. 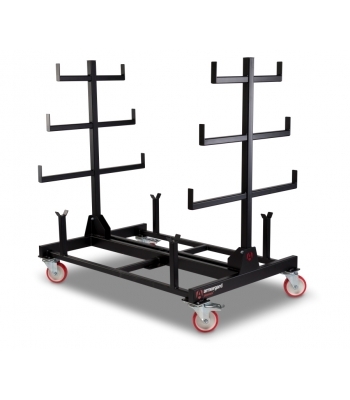 Heavy duty construction, powder coated finish and 4 x Swivel castors. Fully collapsable and stackable when not in use. 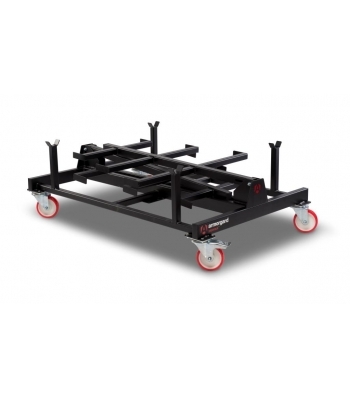 Supplied with official weight testing certificate. A good sturdy pipe rack, can fit shed loads of pipes on this thing!